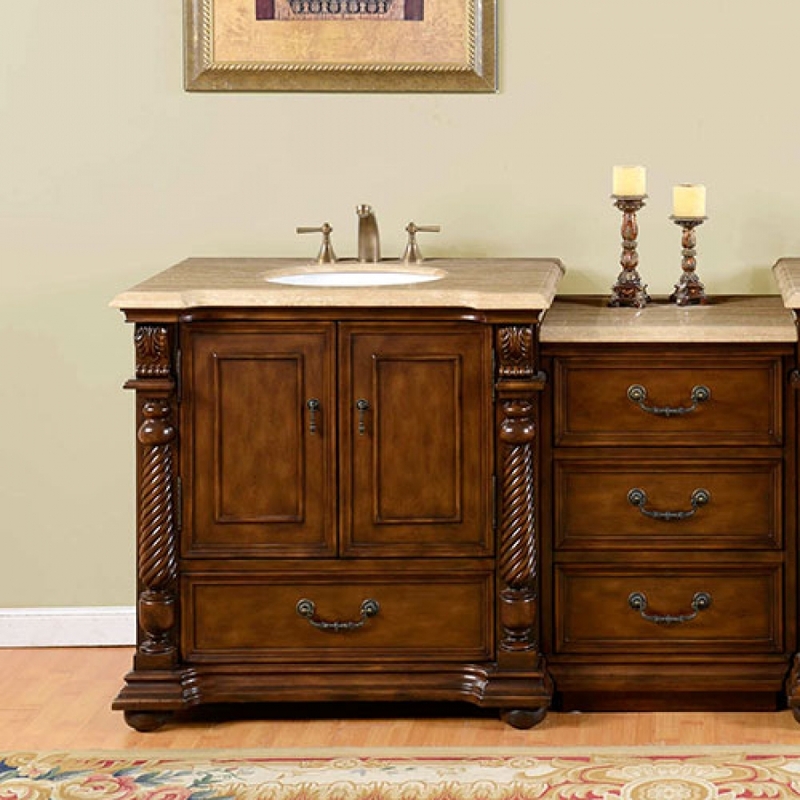 The design of this piece, with an added bank of drawers will add great functionality as well as elegant style to the bathroom. 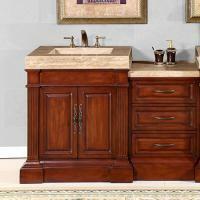 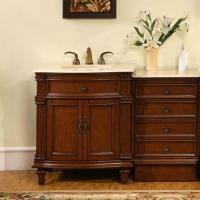 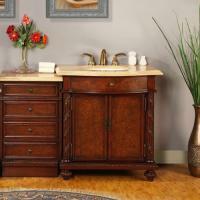 The Brazilian rosewood finish has a warm tone accented by the light shade of the travertine countertop. 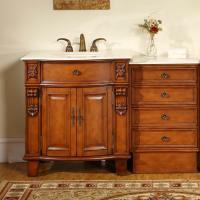 The wonderful carvings will add a beautiful decorative touch to the space.